The abolishment of Customary Court of Appeal in the Nasarawa State has been reversed by Governor Tanko Al-Makura. Abdul kareem Kana, the state Attorney-General and Commissioner for Justice, disclosed this at the Second Appeals and Call over Session on Tuesday at Keffi, Keffi Local Government Area of the state. Gov. Tanko Al-Makura had on Oct. 23, 2017 announced the merging of the state’s Customary Court of Appeal with the High Court. 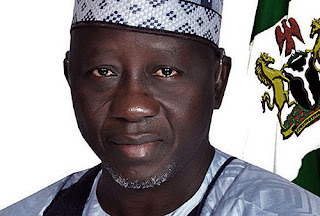 The governor announced the decision at the retirement and Valedictory Court Session in honor of Justice Jibril Idrisu, the then President of the Nasarawa State Customary Court of Appeal. Kana, however, appealed to those who took government to court over its earlier decision to withdraw the cases to enable it to take further steps in restructuring the courts. “The government was taken to court and therefore we cannot take any action now until the case is withdrawn. “So, those who took government to court should withdraw the case to enable us to make progress,” Kana added. The attorney general said that government had concluded arrangement for the appeal court in Makurdi, Benue, to start sitting periodically in Lafia, pending the establishment of one in the state. He called on counsels with matters in the appeal court to contact the registrar of the court in order to have their cases in Lafia. The commissioner assured the judiciary that the ongoing ultra-modern high court complex in Lafia would be completed and inaugurated in December.